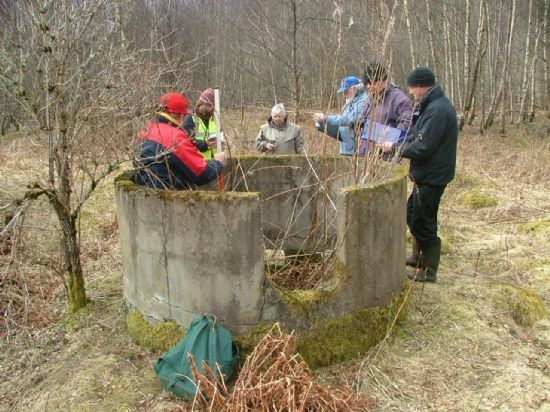 Evanton Wartime remains is an exciting community project held in 2012/2013 to find out more about wartime remains in the Evanton area, by sharing memories and knowledge, exploring archives, aerial photographs and maps, and by recording surviving sites and buildings. 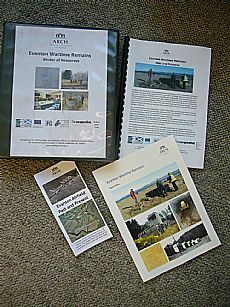 Participants also helped create a local display and leaflet, and contributed photographs and information towards a book. 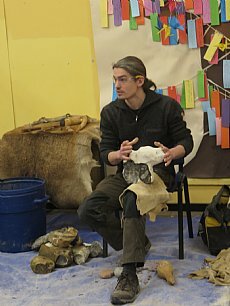 There were a range of indoor and outdoor activities. 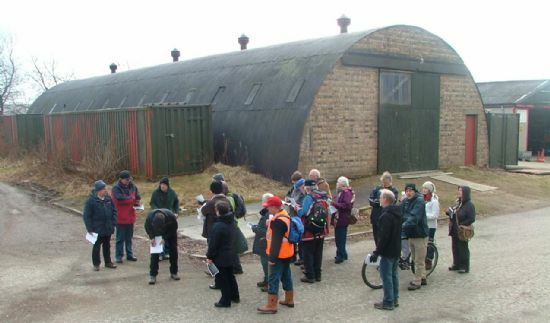 A group of people met at the Cornerstone Cafe in Evanton on Wednesday evenings from February through July, exploring wartime remains in Evanton. 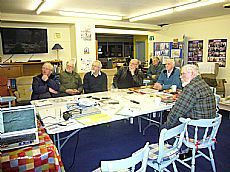 First sharing memories of the 20th century wartime remains, they then matched some of these to wartime plans, archive materials, old photographs and aerial photographs. 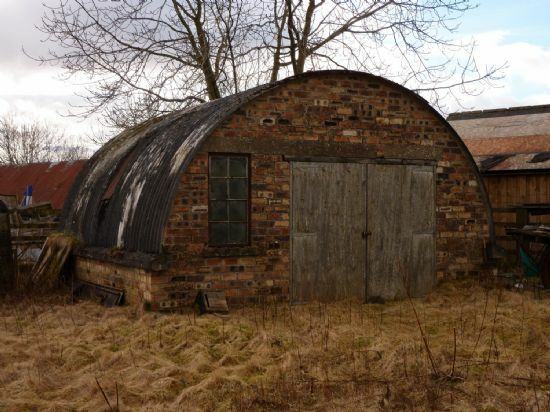 Some of the huts were traced to Gordonstoun, where their archives record visits to the airfield and even photos before and after removing the huts. A small group made a field trip to see the archives and building remains. Allan Kilpatrick of the RCAHMS came north to provide the group with a session on the aerial photographs. 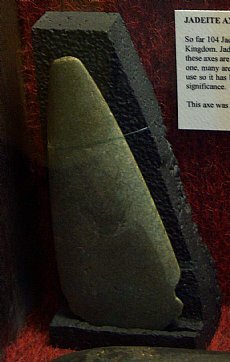 In particular those from 1946 have been a wonderful source, providing details of buildings no longer there or since modified. In the picture on the right he attempts to determine what the structure on the field next to the A9 is - a pillbox or an unusually small battle headquarters in the event of an attack? 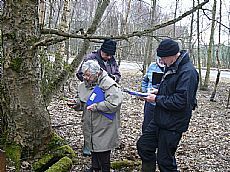 Malcolm Standring of Alness georeferenced our maps and plans – basically creating layers which can be viewed on top of one another, allowing the group to pin point with accuracy some of the features from the plans and archives. 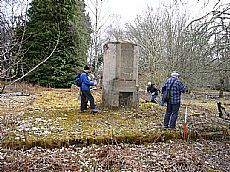 Using maps, plans and Google Earth have enabled us to locate where some pictures in the Alness archive were taken, including a picture of some huts used by the Wrens, located we now know by Novar House. At the same time members of the group also explored the remai ns on the ground. A diverse number survive: hangars which are clearly visible from the A9 at the Deephaven entrance, nissen huts used for a range of purposes, pillboxes for defence, and workshops such as the present Blytheswood retail shop. Elsewhere there are only concrete foundations left, but fortunately the survival of aerial photographs and plans allow us to trace some of these buildings. 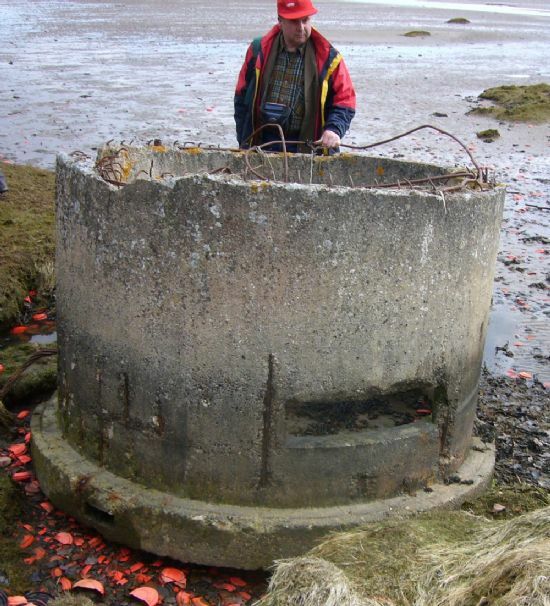 Unexpected finds include three unrecorded pillboxes, including a Pickett-Hamilton fort which could be raised and lowered, and a Norcon pillbox, said by one commentator to be possibly the most dangerous, cheap and nasty of all the pillbox designs. While these activities were taking place, P7 pupils at Kiltearn primary school also learned about the airifled, looking at maps, aerial photographs, and objects showing what life was like in the area during the war. 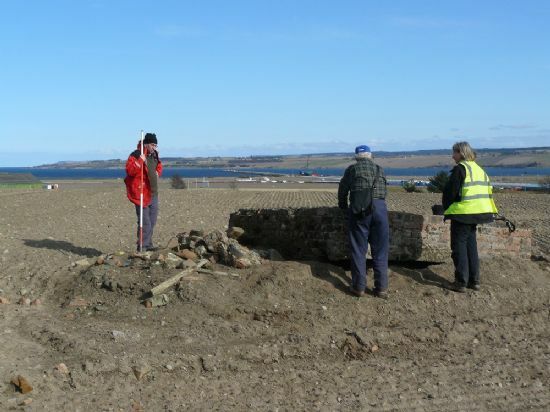 They then spent a day surveying parts of the site, as did Dingwall Academy pupils in June. All of these activities helped to provide a detailed picture of the airfield, from its pre World War II beginnings as a naval maintenance camp in 1922. No buildings survive of this camp, although we have located some foundations. Fortunately pictures in the Alness Heritage Centre and Invergordon Archive help to show what would have been there. 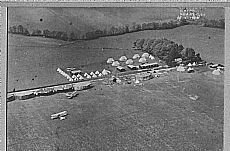 Then in 1937 a massive building programme began, and the airfield was transferred to the RAF, becoming a training camp for bombing and gunnery. Many of the buildings in the Industrial Estate and Newton Road North area were constructed at this time. During May the group pulled together all this material to create a display telling the history of the wartime remains in the area. The first Open Day in June attracted over 100 people, many providing new memories, photographs and even plans of the airfield. 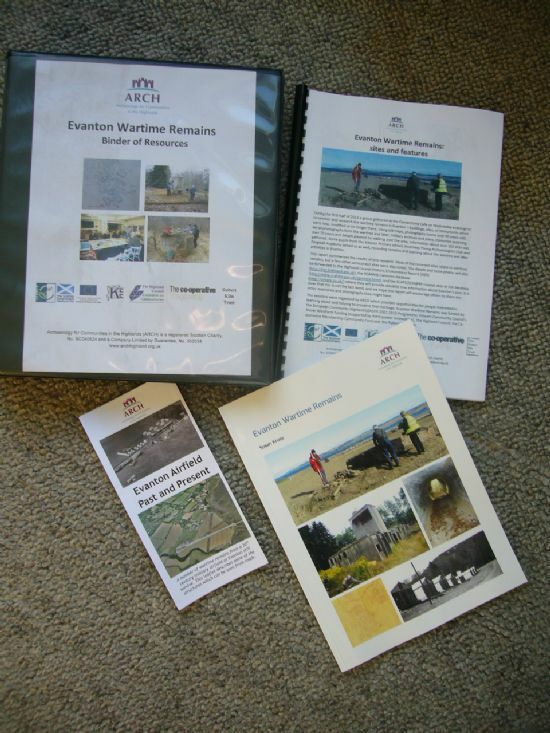 The group then pulled together the material into a small leaflet showing some of the sites which can be seen from the road (available from the Library on this website or at various local outlets). 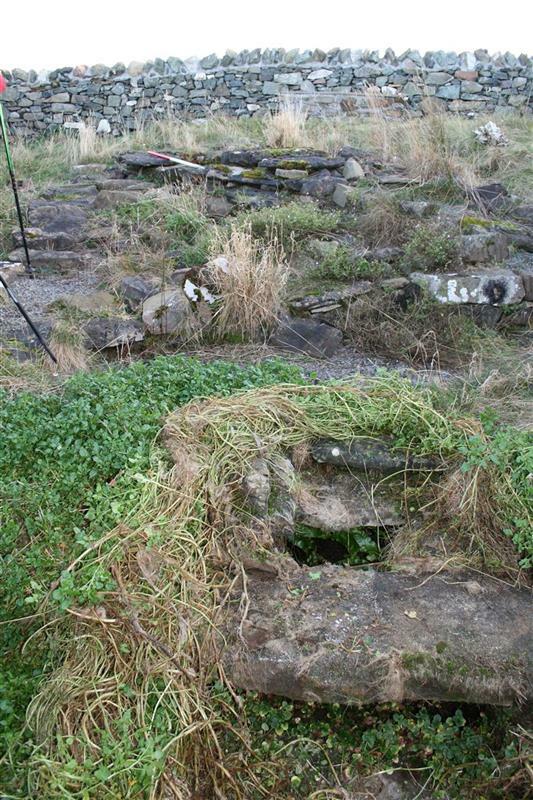 A booklet was launched in September at the second Open Day which tells the full story of the remains of the airfield. Copies are available from the ARCH office (donations requested). 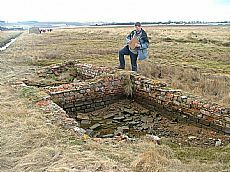 The project recorded over 160 sites at Evanton, over 88% of them new, and over 300 photographs. These were submitted to the Highland Historic Environment Record, and will be linked then to the Scotland-wide Canmore database of Scottish heritage held by the RCAHMS in Edinburgh. Those sites near the shore were also submitted to the Scotland Coastal Sites at Risk database. 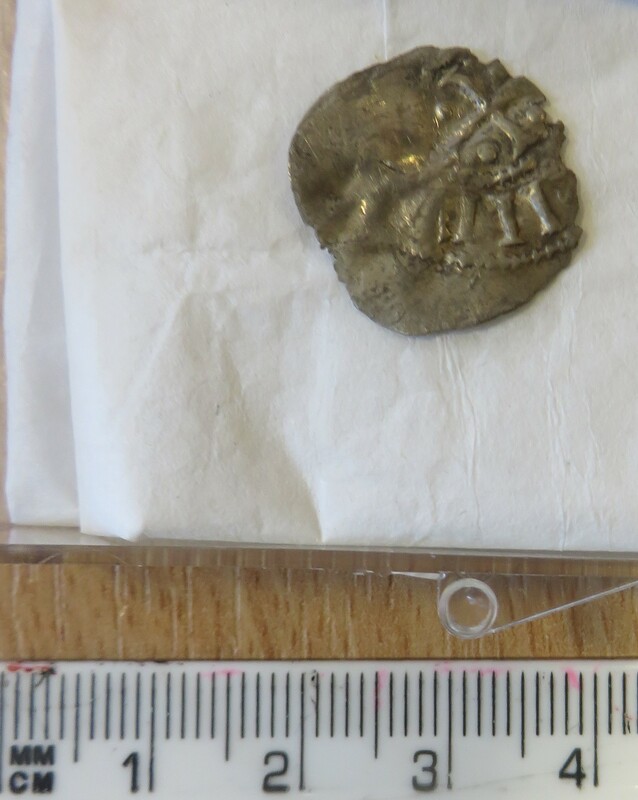 A listing of all the sites, with small pictures, is available from the Library on this website. Binders of resources have been deposited at Dingwall and Alness libraries, Alness Heritage Centre, and the Cornerstone Cafe in Evanton. Altogether the project has shown beyond a doubt the potential of members of the community sharing memories, utilising the wonderful photographic and archive information available, and recording what will survives – and is very much at threat. 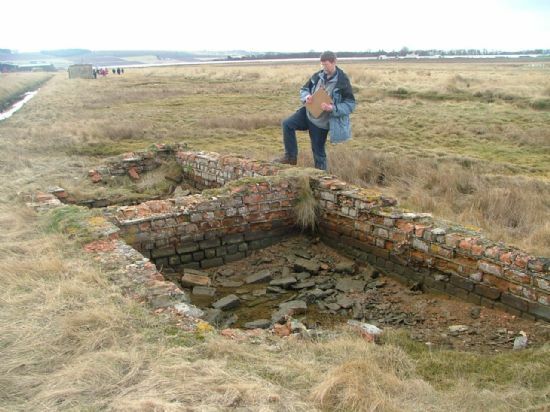 The need to record these wartime remains, and to encourage people to share memories of the sites is a matter of some urgency. Evanton Wartime Remains was funded by the European Community Highland LEADER 2007-2013 Programme, Kiltearn Community Council's Novar Windfarm funding (supported by RWEnpower renewables), The Highland Council, The Co-operative Membership Community Fund and the Robert Kiln Trust. Thanks to Adrian Clark, Alasdair Cameron, Willie Fraser and Preston White for contributing photographs.